American Home Warranty is now offering a 90-day limited home warranty on AmeriSpec inspections! 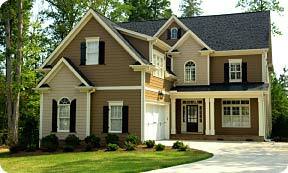 This limited home warranty offers beneficial coverage and becomes effective the day of the inspection. If the closing takes place after the 90-day period the warranty will extend 30 days following the closing. This product has a ZERO deductible and helps to reduce many out-of-pocket expenses in the event of a loss. Subject to certain exclusions and stated maximums. Please see warranty for complete details. In addition to this value-added warranty product, AmeriSpec offers Agent Indemnification Coverage which covers agents in the event a claim is brought against them solely for recommending AmeriSpec to their clients. Coupled with Errors & Omissions Insurance and General Liability Coverage, you and your clients can enjoy a measure of protection and peace of mind when selecting AmeriSpec for a home inspection.